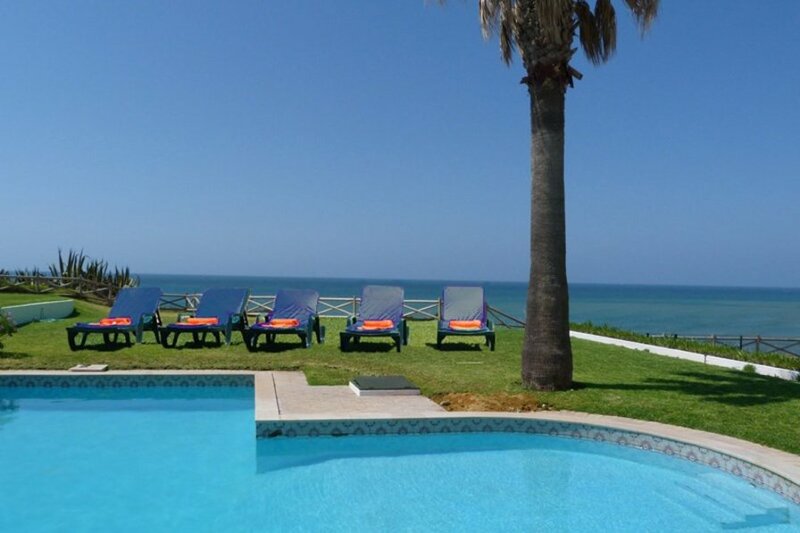 Villa Barlavento is a waterfront villa within a walking distance from the beach and close to the centre of Albufeira. This lovely house has a pleasant garden and private swimming pool overlooking the sea, making this place an idyllic spot to spend an unforgettable vacation. The property accommodates 12 persons, 10 adults and 2 children. The interior of the villa offers all the commodities necessary for a comfortable vacation. With spectacular sea view and proximity to the beach, it is no wonder that the guests tend to spend more time outside, making use of the garden, outdoor dining area or simply lazing around by the private swimming pool. Villa Barlavento and the sunny Algarve await your arrival! Albufeira was once a small fishing port and has become the most popular tourist resort in the area. The city still retains some of its character and its Moorish heritage, with pretty streets lined with whitewashed houses, the ruins of the fortress and a high cliff overlooking the beach. The nightlife is very lively in Albufeira. In the summer, you have the sunbathing by the calm sea and water sports, including diving and windsurfing. The region also has an 18-hole golf course, a marina and the Zoomarine water park. Take the time to enjoy, in one of the many restaurants, the local specialty called Cataplana, a mixture of crispy seafood, shellfish and steamed fish.